“I will make Puttu( a Kerala delicacy). Something you have never tasted before”, proclaimed I, to my parents and went on to make the worst Puttu ever. 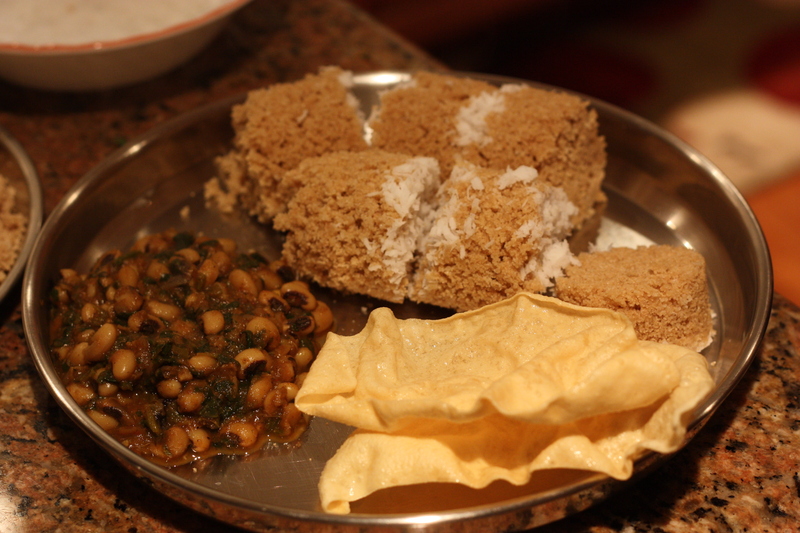 It was like eating Raw wheat flour, with some coconut shreds, though the accompanying kadala curry was very good. Poor Mom and Dad. Tried their best to smile, with watery eyes , wondering what sin they had committed ,forced to eat raw flour. Was she taking revenge for hitting her as a child, thought the mother or Was it because I wouldn’t let her read “The Pirate” by Harold Robbins in her 10th grade, thought the father. Poorva Janma Karma, they decided and took the brunt of it. Alas!! I wish they had tasted my Puttu yesterday. 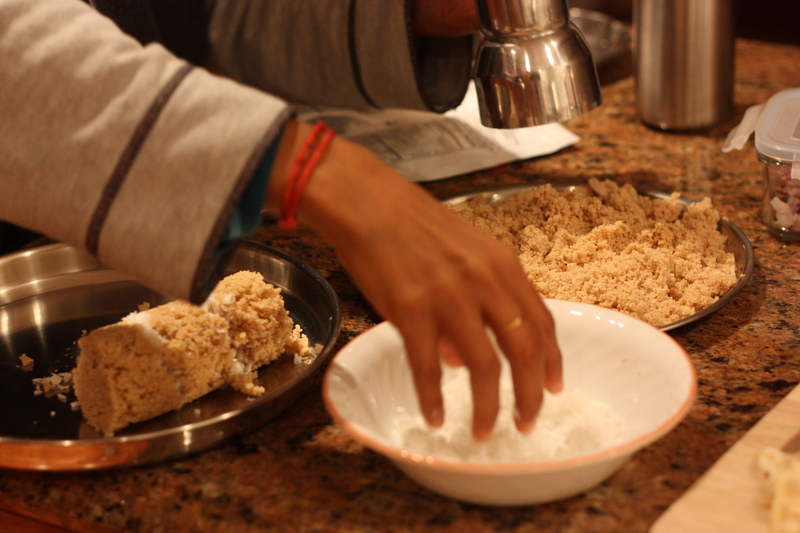 Practice maketh a woman’s puttu perfect. No! Not just practice, also the food processor. Helps to get the right consistency of the flour with water.In case you are wondering, how a Kannadiga married to a Tamilian gets hold of Puttu maker and makes awesome Puttus, here is the scoop. Having a Malayali MIL helps you to learn puttu and aapam recipes. Puttu, Payir, Papadam is what the combination is called. In TN restaurants, Puttu with Kadala curry is popular too. I made Puttu, blackeyed peas curry with Appalam. Here is the puttu maker. 1. 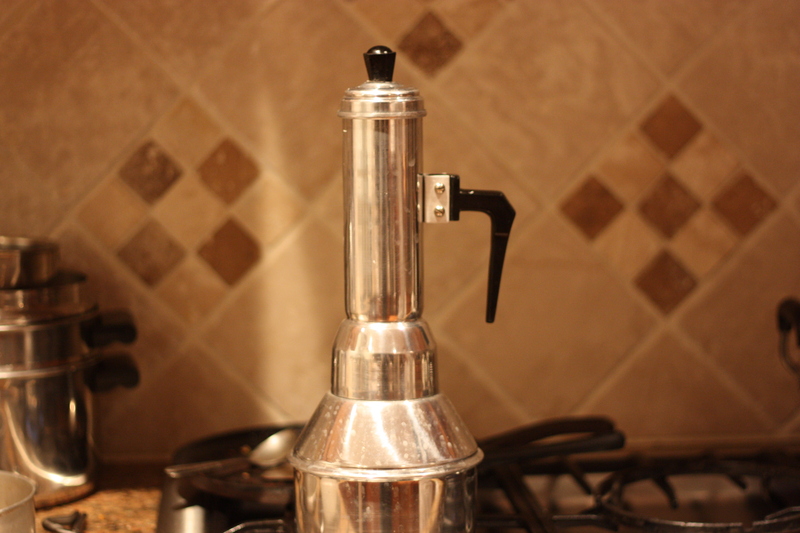 Mix the flour& salt with water in a food processor, till you get the right consistency. There should be just enough moisture so that if you grip the flour,it should bind, but otherwise it doesn’t. 2. Make layers of flour and coconut in the puttu maker and place it on the bottom vessel, which essentially holds water for steaming. 3. Thats it !! Steam it for five minutes and enjoy it with whatever you want. The original PPP is puttu with rice flour, payiru with whole moong dal sundal and fried pappadum. My PPA is puttu with Wheat flour, payiru with black eyed peas and spinach gravy and fried appalam. And as you can see, I added shredded coconut, just as a bare necessity.The recipe definitely calls for more. Note: If you are wondering why I started posting recipes again,I was guilt tripped. For some reason, all my posts are getting posted in some food blog aggregator called Foodbix. And so, a recipe it is. Can we get them somewhere? other than your home that is? I think Saravana bhavan in sunnyvale offers Puttu . You can check it out.